Getting your cricket/IPL fever on? 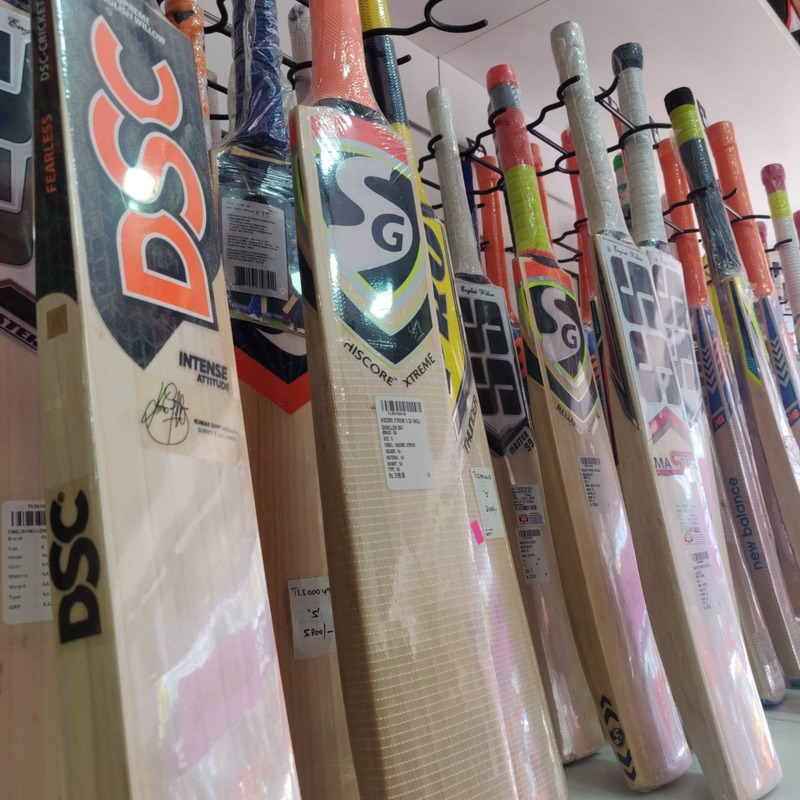 Buy cricket bats, helmets, and gear across different brands at The Legend Sports, a sports retail store on East Coast Road (ECR). From cricket and tennis to swimming, they've got sports gear for every sport here. At The Legend Sports, you can compare various brands and price ranges - beginner, intermediate, advanced, they've got choices for all. Their cricket bats and helmets are fast-moving, and they've got bats starting INR 1,500. We found brands such as MRF, Adidas, and Spartan. The 1,500 range is for beginners and can go up to INR 6,000. The higher end bats are made of stronger wood and guarantee better durability. The Legend Sports also has tennis rackets (Wilson, Babolat, and Yonex), badminton rackets, footballs, volleyballs, and hockey gear starting INR 2,000. They also have boxing gear and gym equipment like free weights and dumbbells. You can also shop for trophies if you're putting together a fun tournament. As for clothing, The Legend Sports has track pants, shorts, shirts, all with dri-fit options as well as swimwear from Speedo. The swimwear is priced from INR 800 and the dri-fit clothes start from INR 600.